Rihanna is willing to put her money where her mouth is. The hit singer knows the power of celebrity and she’s proven it by turning down millions to perform the next Super Bowl halftime show. 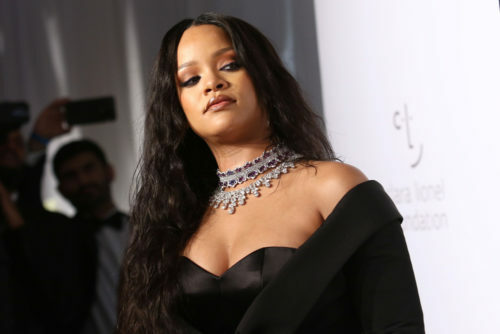 Us Magazine reports that Rihanna declined the gig to support Colin Kaepernick and other NFL players taking a knee during the national anthem to protest police violence against black men. Kaepernick started the protest, but the former San Francisco 49ers quarterback hasn’t played since 2016. He filed a lawsuit in 2017 alleging team owners had conspired to blacklist him from the league over the controversy. While veterans supported the players’ protest, President Trump and Republicans used it as an excuse to whip up national fervor by proclaiming it disrespectful of the troops. Until 2009, players normally stayed in the locker room and were not required to stand at attention on the field as the song played. Between 2012-2015 the military spent almost $7 million on what they called “paid patriotism.” The Department of Defense paid sports teams to play the anthem, honor military members, and do flag presentations on the field. Maroon 5 will play the Super Bowl LII Halftime Show instead.